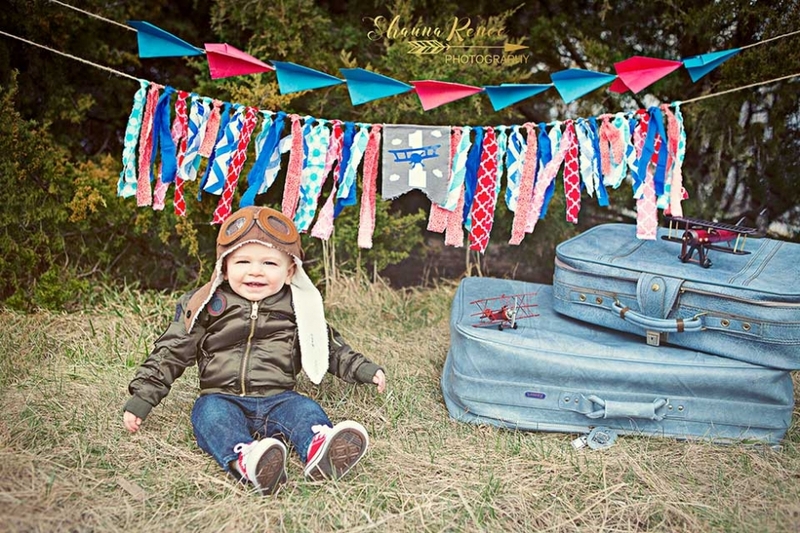 I mean, how cute is this theme?! 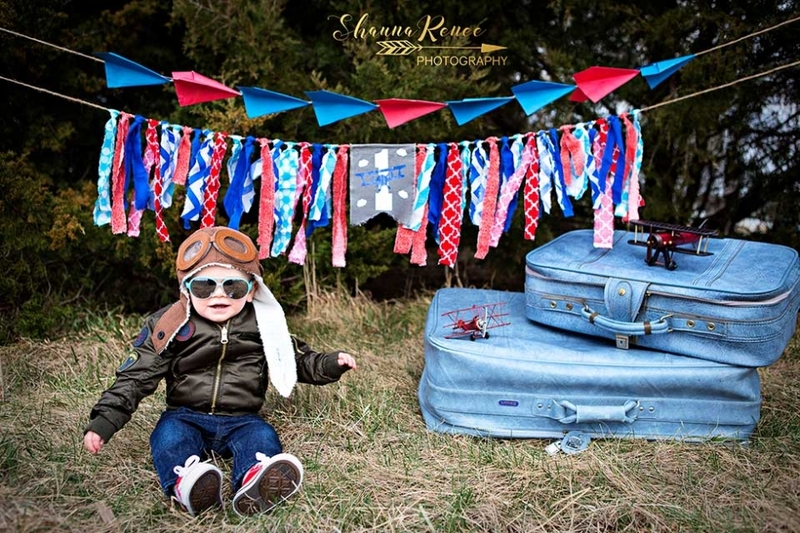 Kelsey has outdid herself with the DIY banners and the vintage suitcases & airplanes! You may not be able to tell, but we hit the one “winter” weekend of the year and it was freezing with a strong constant wind. Benton was all smiles when we sat him down for about 3.5 minutes , and then he decided he was done! After some tears, we dragged a few more smiles out of him by mom and dad prancing/dancing/making silly faces behind the camera. Then we really were done and back in the warm house. 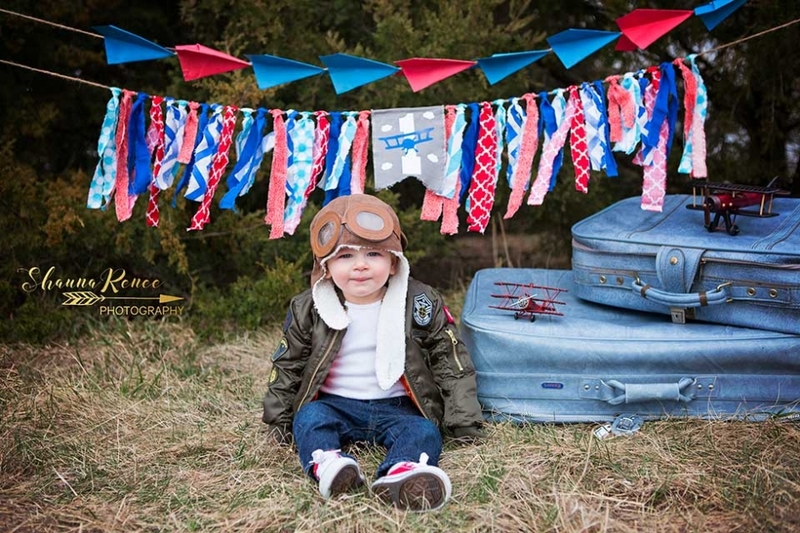 Benton, you were a trooper and I love your bomber jacket and hat…the aviators finish off the look. Happy birthday little man! And not happy at all…don’t worry, he was fine as soon as he was picked up!